The Ukrainian government is ready to implement the whole list of its planned reforms, but needs support, Ukrainian Prime Minister Arseniy Yatseniuk said during a press conference at the European Council on December 15. "Today we have launched the mechanism of the Association Agreement with the EU and the creation of a free trade zone,” Yatseniuk said. “Today the EU-Ukraine Association Council has started its activities. Our common goal is to make Ukraine a success. “The government has announced a program of its activities, which is based on the Association Agreement. And I want to be very clear here: the government is ready to carry out all the reforms, but we need support - for the economy, for the fiscal system in order to overcome turbulences we are experiencing." 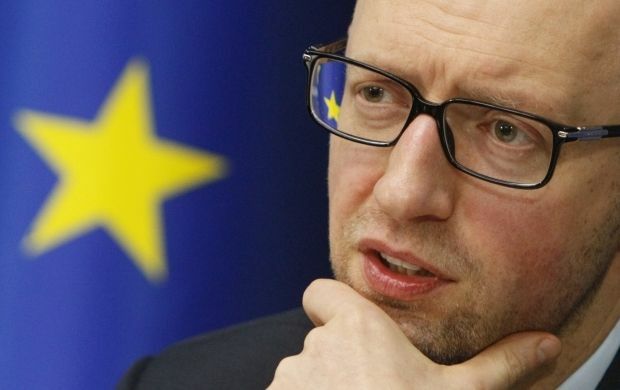 Yatseniuk said that together with its European partners Ukraine will be able to achieve stability. "2015 should be a year of stabilization, and 2016 - a year of economic growth," Yatsenyuk said. As UNIAN reported earlier, Yatseniuk is on a working visit to Brussels, where he has already held talks at the headquarters of NATO and the Council of Europe, and also took part in the inaugural meeting of EU-Ukraine Association Council. Earlier, the Minister of Economic Development and Trade of Ukraine Aivaras Adomavičius, who is accompanying the prime minister, said that the main task of the Ukrainian delegation is to launch the Association Council activities, as well as to secure real support - primarily financial.